Have a kid who loves the Muppets? 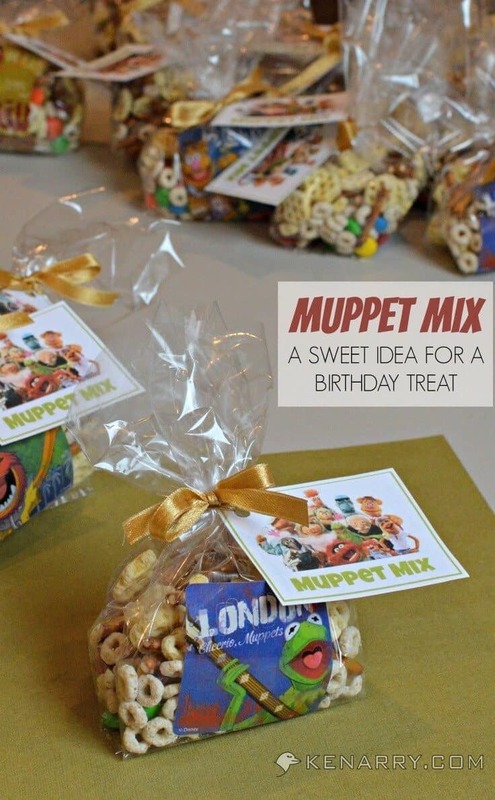 This simple Muppet Mix is the perfect snack or birthday treat. It would also be great for a Muppets Most Wanted themed party. Kermit, Miss Piggy, Fozzie Bear, Gonzo, Animal, Dr. Teeth… how many Muppets can you name? Our son is completely infatuated with the Muppets these days thanks to the “My Muppets Show” game on the iPad. In the game, you can earn Muppet characters, move them around on stages and do other activities. Having been a kid in the 80s, I thought I knew a lot of the Muppets, but my son can name Muppets I never even knew existed. It didn’t come as a surprise then when he wanted to have a Muppet themed birthday when he turned four earlier this year. One of the ways we wanted to celebrate was by bringing a special Muppet birthday treat to three school. I searched Pinterest for ideas and found elaborate cupcakes and cookies decorated to look like Kermit and Miss Piggy. While impressive, those sounded like bit more work than I was looking to do. 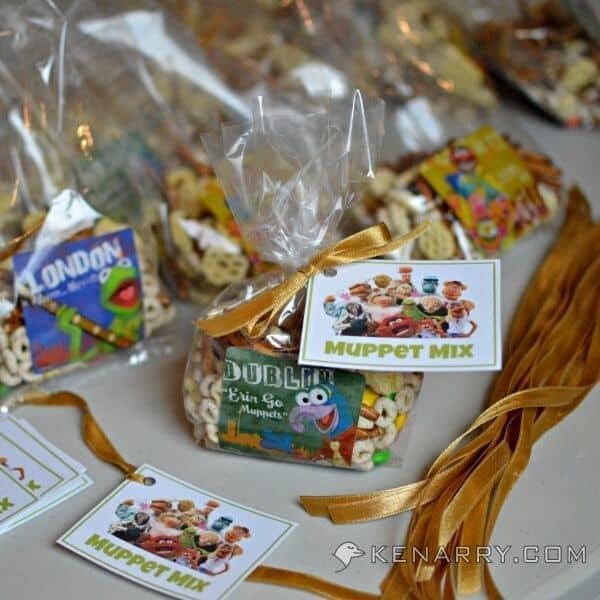 Instead, we decided to create a simple snack mix with some of his favorite goodies, which we called “Muppet Mix”. To make the Muppet Mix, I took my son to the grocery store with me after school one day and let him roam the aisles searching for things to put in his Muppet Mix. I kept hoping there would be Muppet shaped snack crackers, candy or something related to the new Muppets Most Wanted movie, but I couldn’t find any. The closest we could find was Gonzo on the side of the Frosted Cheerios box. I told my son he could choose four things to put in the Muppet Mix because he was turning four this year. When I shared that story with his teachers the day we brought his birthday treat to school, one little girl quickly raised her hand and told me “I should have FIVE things in my Muppet Mix because I’m FIVE.” You’ve got to love kids, don’t you? 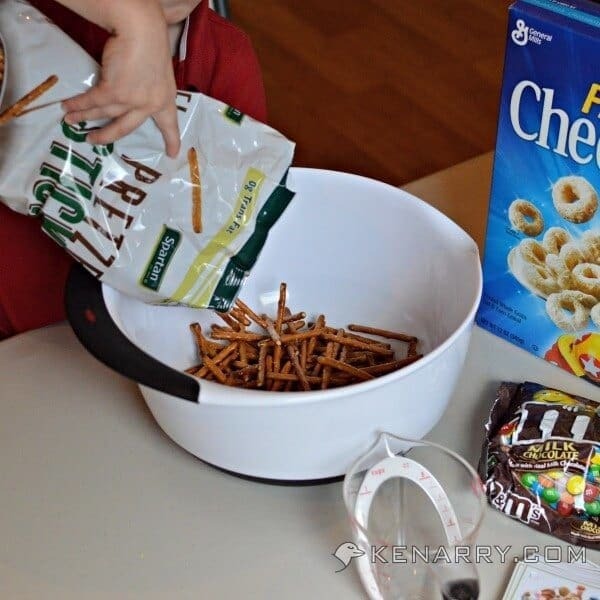 Treats for the mix, one for each year of your child’s age – My son chose 4: Honeycombs, Frosted Cheerios, M&Ms and pretzel sticks. came 75 to a pack, so we had plenty of stickers to decorate both sides of our bags. 2. 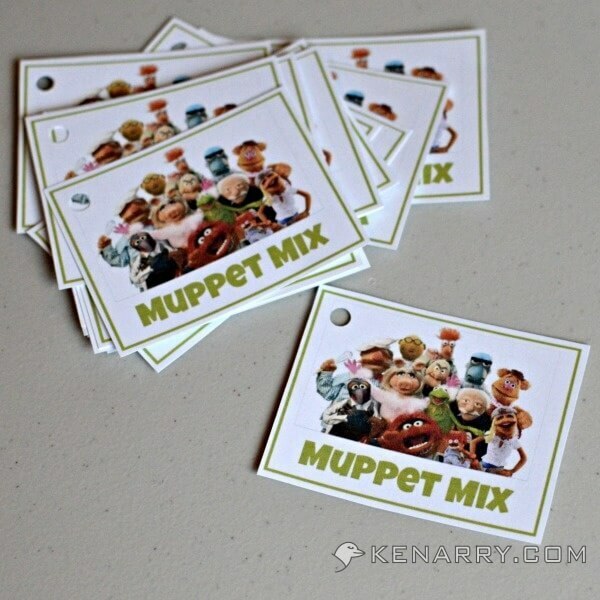 Create Muppet Mix treat tags. For the treat tags, I did a Google search to find an image of the Muppets with a white background. I used PicMonkey to import the graphic and add the text for “Muppet Mix” along with a simple green frame. PicMonkey is a free online tool for creating and editing graphics, but you can upgrade to a premium version to access more fonts and functions. I then printed the graphic multiple times on card stock and cut them apart. 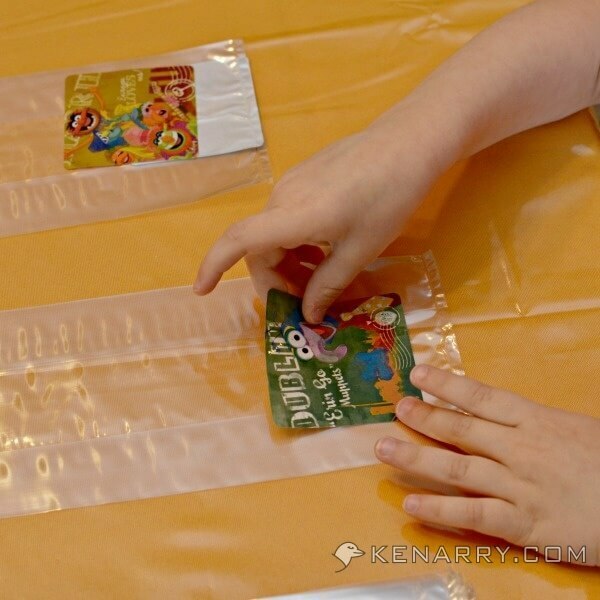 I used a simple hole punch in the corner so I could easily tie the tags onto the Muppet Mix bags once they were filled. 3. Make the Muppet Mix. 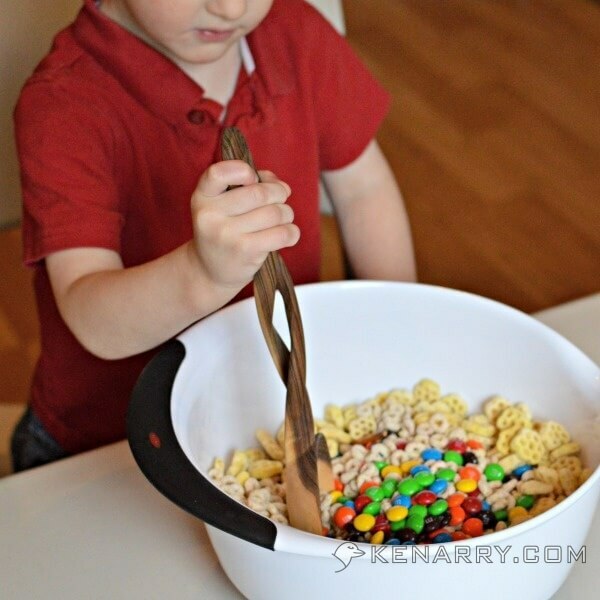 Pour your treats into a large bowl. 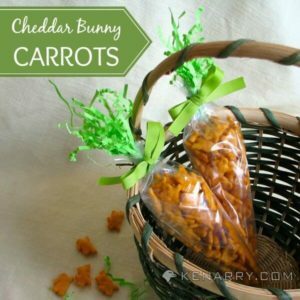 You’ll need approximately 1 cup for each treat bag. We were only creating 19 treat bags so we didn’t quite use all of our ingredients in the Muppet Mix. 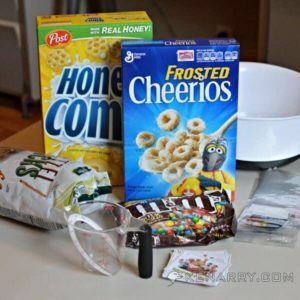 Mix the treats together with a large spoon. Be careful not to crush the treats as you do so. 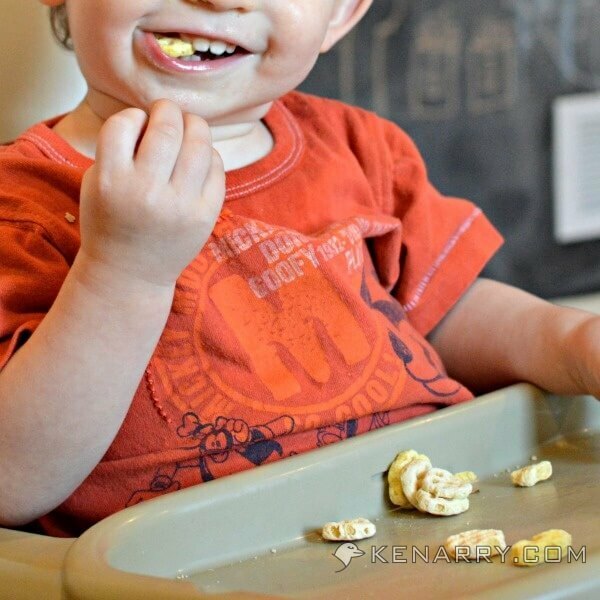 It’s also helpful to have an extra person on hand to be your taste-tester! Our one year old son gave the Muppet Mix his seal of approval. 4. Fill the treat bags. 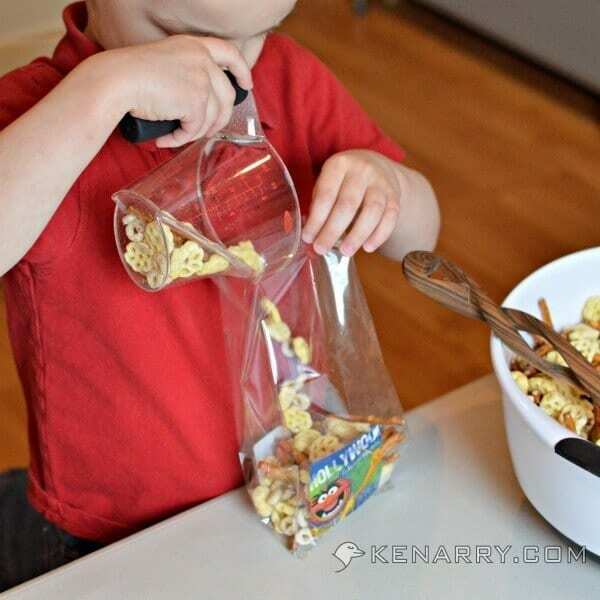 Use a measuring cup to pour Muppet Mix into each of the treat bags. We used 1 cup of Muppet Mix per bag. When we gave the birthday treat to his classmates, we found 1 cup was more than enough for each child. Many of them had extra Muppet Mix leftover to bring home. 5. Tie on the tags. 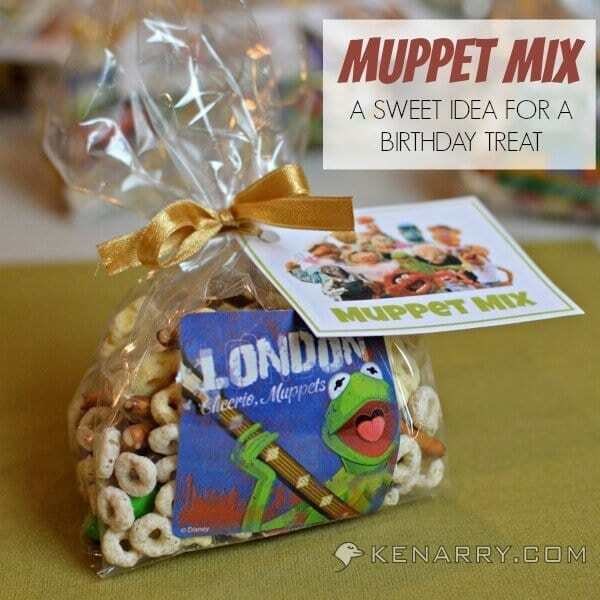 Use ribbon to tie a Muppet Mix tag to seal the top of each birthday treat bag. As you make your knots and bows, keep in mind the age of your child’s classmates. My son’s friends at school are only 3-5 years old, so nearly all of them needed help at treat time to open their Muppet Mix bags. 6. Distribute and enjoy! Your Muppet Mix is now ready for your child’s celebration at school. We put all of our treats in a Muppets Most Wanted reusable tote bag from the Disney Store to transport them to school. 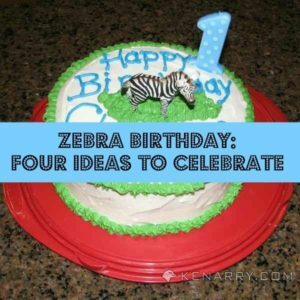 This sweet idea for a birthday treat can really work for any character-themed birthday party. All you have to do is find the right character stickers and create the tag yourself. It’s so simple and easy to do. 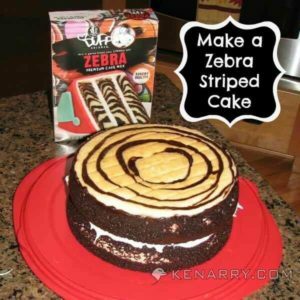 Preschoolers and other young kids will love it. Next week, I’ll share how I made a Muppet stage birthday cake for our son’s party with family along with the plates, napkins and other Muppet goodies we used to make his day extra special. 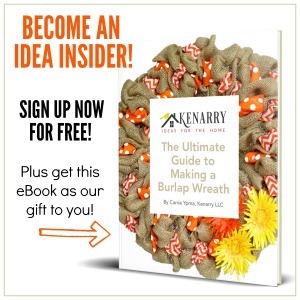 If you haven’t already, be sure to subscribe to get Kenarry Ideas in Your Inbox so you don’t miss anything. Such a cute idea. My teenage boys still eat cereal straight from the box as a super quick snack to keep them going whilst they cruise the kitchen for things to eat! I love the labels and the fact your son was so involved in the whole process. I can’t even imagine how much food you go through in your house with teenage boys, Julie! 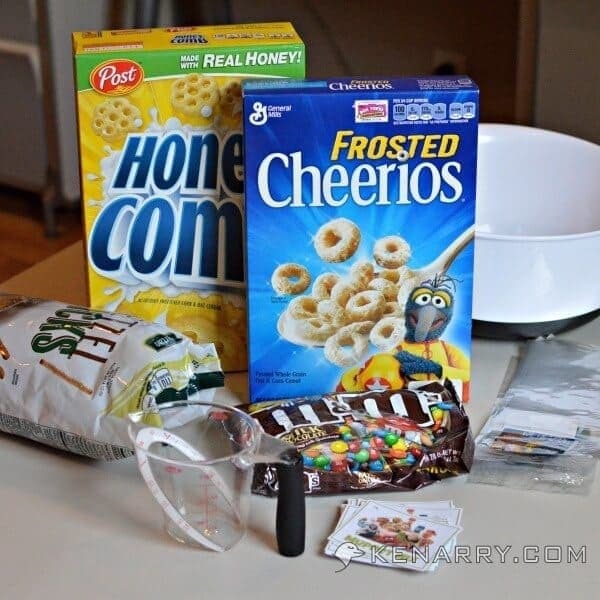 At least cereal is a fairly low cost and healthy snack option. Thanks for stopping by today. I really appreciate it.